I've been taught that the best colors for family photos are those that are not too bright or too colorful. Neutral colors go well with other neutrals and colors in general. 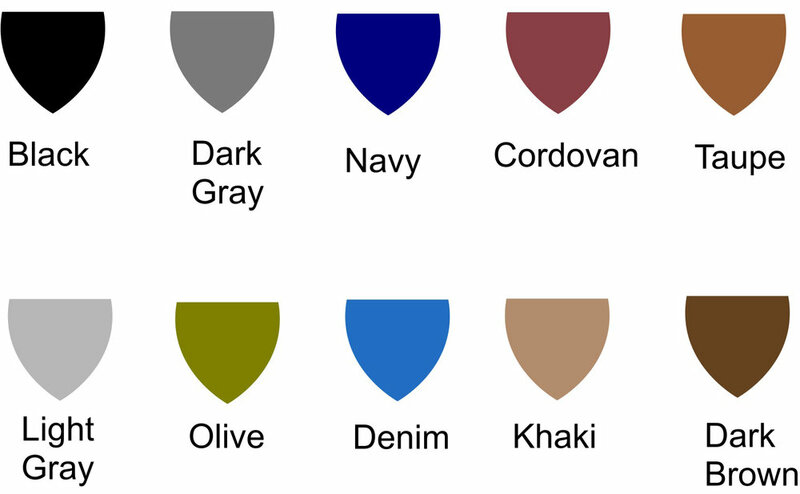 Notice that some of these colors are not a true neutral (for example Denim). What I call "Clothing Neutrals" are called that because they can effectively blend with other colors. The colors were chosen by me from suggestions I took from clothing websites. Yet I left out a few neutrals these websites also suggest. Notice that I did not include white which is considered a neutral. The reason for this is in a photograph your eye goes to the brightest part of the image or to the most contrast. And in Portrait Photography that should be the face, not your white clothing. (The one exception is if I'm doing a High Key Portrait--using an all white background) as you eye then goes to the most contrast. And that again would bring the eye back to the face. Bright colors are not included because they compete for the main subject color. And that color is skintones. Again, your face and skin color are the main subject in portrait photography. Do you all want to wear black shirts and blue jeans? For those that don't want to match each other they can use different neutral colors in their clothing. Typically in the group you would not want to do more than 3 colors, is my suggestion. As a professional photographer the one color that I try to match or compliment is the color of the background. Typically, I look to match one of the clothing colors to that of the background. Ah.... but that is the catch! As depending on where the photography is done, the color of the background changes! Outside earthtones like the browns and greens are a good choice, but what if we do pictures inside? Here is where clothing changes come into play. As you can see it all depends on the clothing colors and the colors in the background! When wanting to shoot at several different locations (with different color backgrounds), yet not change clothes, then wearing more neutral colors are a good choice. As they will match any color. Else as a photographer I bring my handy popup background. Guess what color? Yes, it is a neutral gray color for just the reasons above that I described. To learn more about what clothing and styles look best in pictures see my blog article on The Do's and Don'ts of what Clothing to Wear at your Portrait Session. If you want to use stripes, or patterns, then make them of the more neutral variety of gray or black. And wear white if you must? A French photographer's website showed the best matching of clothing for portraits that I've found so far (all but using white of course!) See Source URL below.